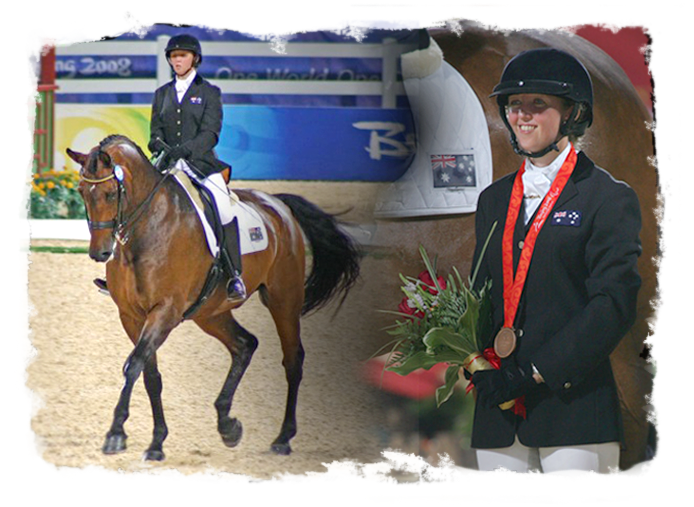 Georgia Bruce has represented Australia in dressage on 12 occasions including 2 World Para dressage championships, (Belgium 2003, UK 2007) and 2 Paralympic Games Athens 2004 and Beijing 2008. Georgia won two bronze medals in Beijing riding Victory Salute. 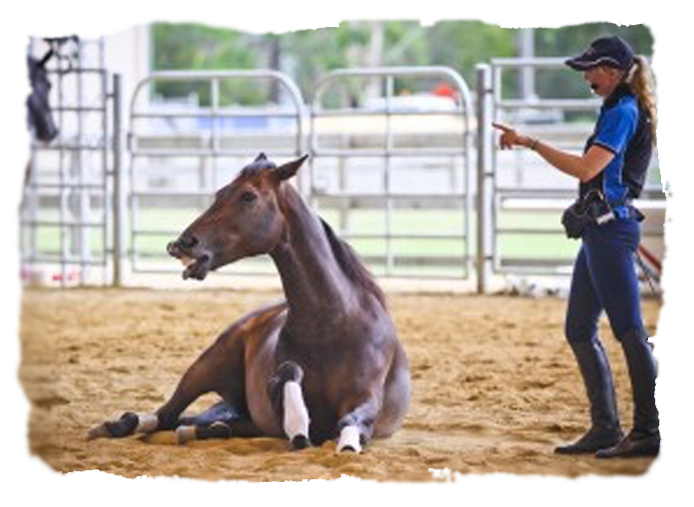 Georgia has worked for and trained with many high level dressage trainers including Hubertus Schmidt, Kim Weston, Christine Doan and Stephan Keisewetter. Georgia has also successfully competed in western events including reining, cutting, western pleasure and trail. Georgia is also an expert in the positive reinforcement based training method known as clicker training. She worked as the senior animal trainer at the Cairns Wildlife Safari Reserve for several years. 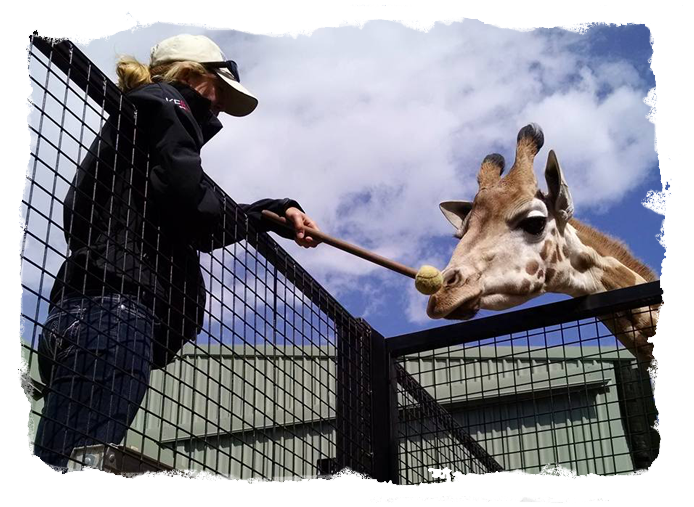 Georgia has also worked at the Canberra National Zoo and Aquarium where she taught animal training to Keepers and Staff as well as creating training plans and enrichment programs for a variety of species. Rumba is a Quarter Horse gelding owned and bred by Georgia Bruce. Rumba was trained with Clicker Training by Georgia Bruce and has competed successfully in dressage to advanced level. He has also competed in western events winning high point junior horse of the year at the Top End Western Horse Club in 2003. Rumba has his own facebook page with over 6000 fans. Several videos featuring Rumba have gone viral. With one particular video being viewed over 50 million times on facebook.